Clear the T-shaped set of blocks first. After that, proceed slowly to make sure you don’t miss a set of changing blocks next to bricks that need to be cleared. Otherwise, don’t clear the changing blocks unless they will make power-ups. 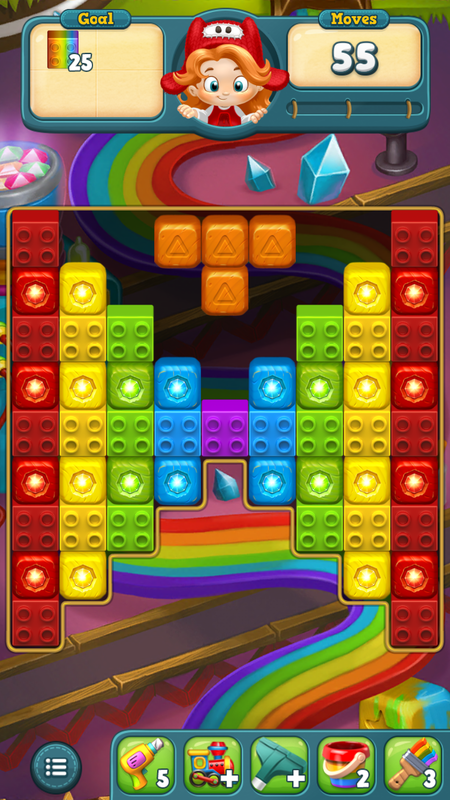 Instead, focus on clearing blocks that are the wrong color that are blocking you clearing bricks. Clear down the middle next to the windmills. 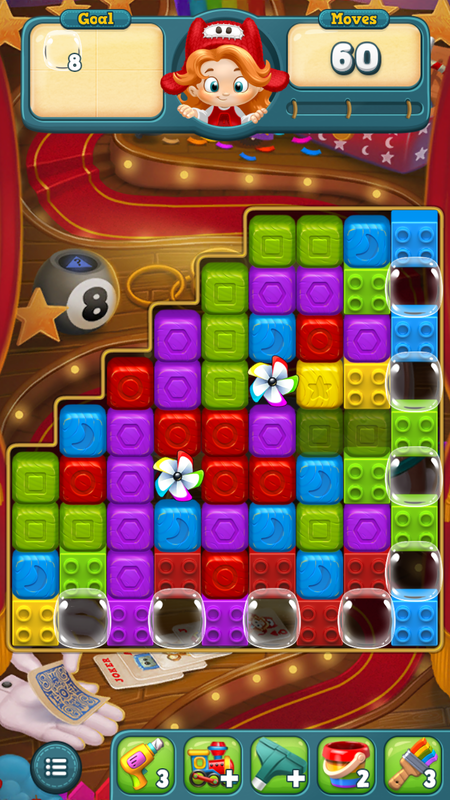 After that, start positioning colors for cubes and try to make a 2 cube combo. 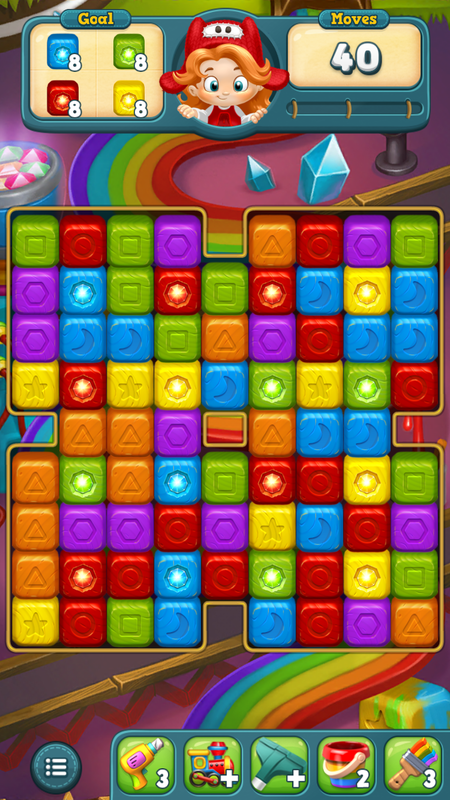 Other area effect power ups will work, but the 2-cube clear is pretty much a guaranteed 3 star score. Clear down the middle three columns on this one to get the windmill out of the way for the one toy. Save any torpedos or TNT you make for a chance to clear the cages of the two toys on either side. With luck, you can get placement to clear both, especially with TNT + torpedo. 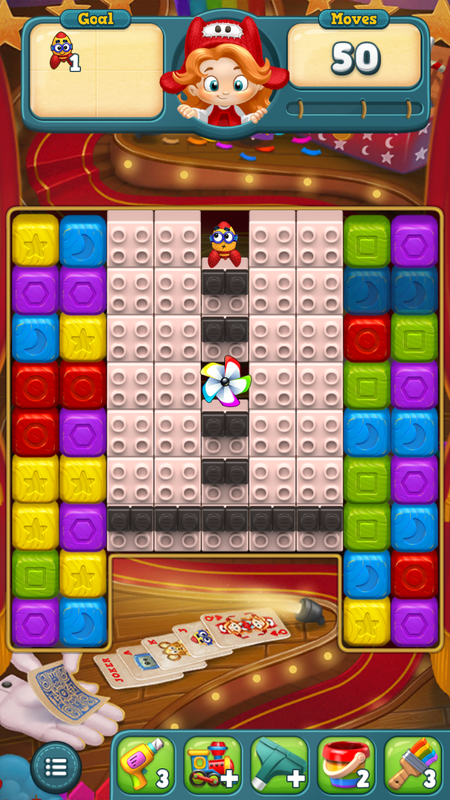 Level 146 has 33 bubbles to clear, all of which are covered by bricks, or about 0.75 moves per thing you have to clear. Remember that torpedoes won’t clear bubbles that blocks aren’t behind, so it’s better to work top down. Be sure that if you clear blocks to make torpedoes that you tap on a block in a row/column with stuff that needs to be cleared. Regardless, you may need a bit of luck to get better than 1 star. 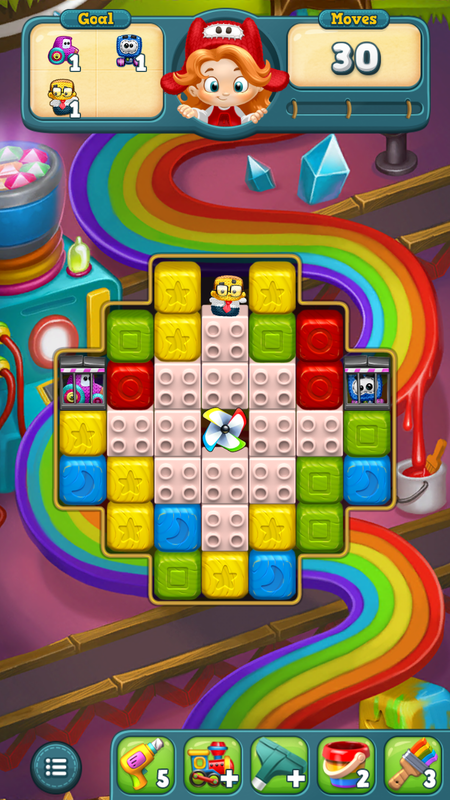 Make power-ups so that you can knock out several different color changing blocks at once. Don’t get caught trying to wait for a certain block to turn a certain color, though. This windwills in this one are fairly convenient to clear by matching colors from the top. 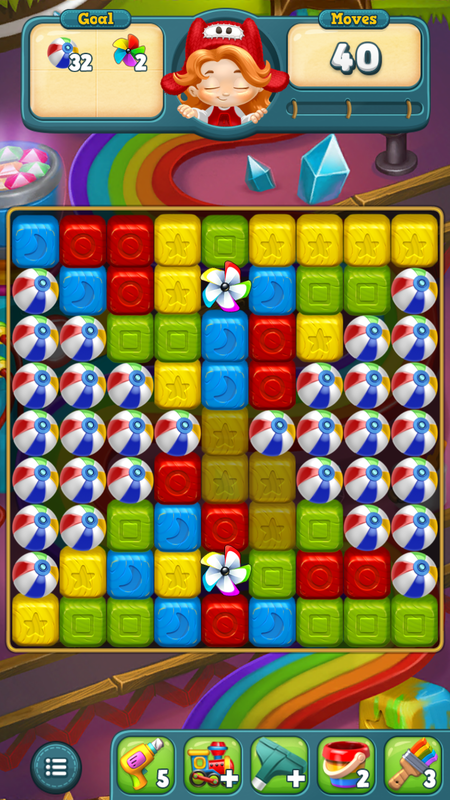 This way you can get a run of colors going, instead of losing matches because your columns get shifted. 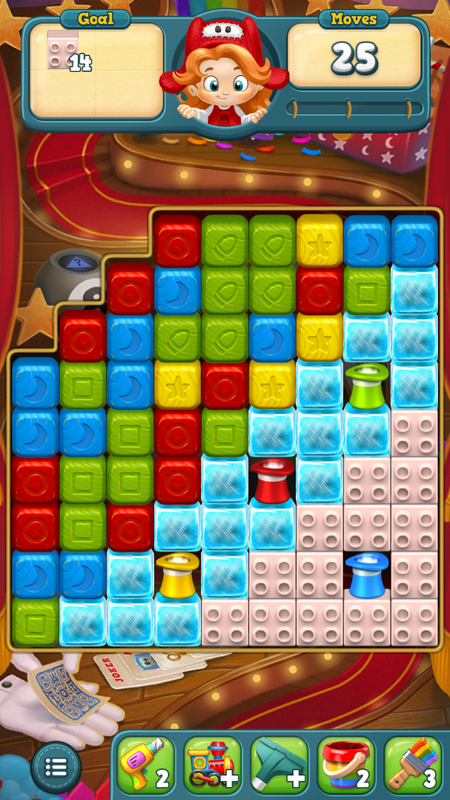 Torpedo the color blocks to open up the bubble areas for clearing. Clear from the side that’s going to let you get to the windmill the fastest. If you get the opportunity, set off a TNT-torpedo combo as close to the middle as possible so that you color match from both sides if the windmill. 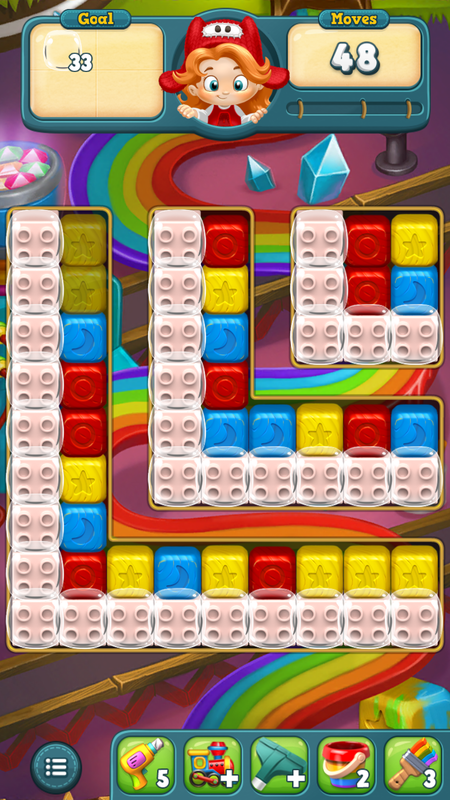 14 blocks to clear in 25 moves with 2-3 layers of ice and magic hats separting you. Torpedo + TNT or torpedo + cube combo is pretty much necessary here. With any luck, one of those hats has a power-up and not just a colored brick, or worse, timer block.